An excursion to discover Creole Martinique, its history and traditions, with a visit to a rum distillery to see the production process of the famous spirit, and the city of Saint Pierre, the old capital of the island, once known as the Paris of the Caribbean. Creole lunch at "Le Bambou Restaurant"
We set off from Fort-de-France and head for Sainte Marie, a mainly agricultural town situated on the east coast of the island, named after the Blessed Virgin Mary who is the patron saint of the city. This is the location of the famous St. James Rum Distillery which we have the opportunity to visit. Saint James is the oldest brand of Martinique rum still being produced today. Originally founded in Saint Pierre in 1765 by Father Lebfébure, the distillery was later moved to Sainte Marie in 1860, before moving all the production equipment following the eruption of Mount Pelée in 1902. In addition to the distillery, we also visit the neighbouring Père Labat Museum. We then head towards Morne Rouge, going through some picturesque villages on our way to Le Bambou Restaurant where we enjoy a Creole lunch. In the afternoon we visit Saint Pierre, the city founded in 1635 by the French adventurer Belain d'Esnambuc which was the commercial and cultural capital of the island until 1902 when it was tragically destroyed by the eruption of neighbouring Mount Pelée. Before the disaster (in which about 30,000 people died with only one survivor called Cyparis who was locked up in an underground prison cell), the city of Saint Pierre was known as the Paris of the Caribbean because of the elegance of its streets and its prosperity. Today Saint Pierre is France's 101st 'City of Art and History'. On our way back to the ship along the coast we can see some picturesque fishing villages. 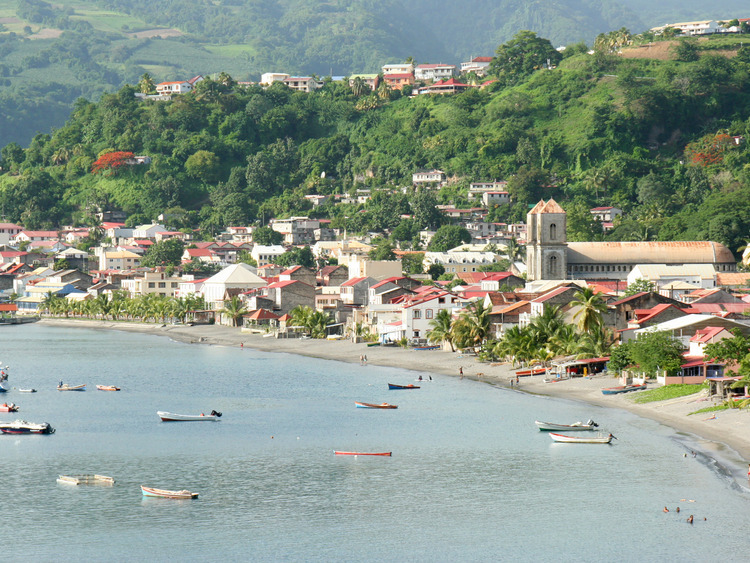 The excursion is reserved for guests who do not disembark at Martinique.